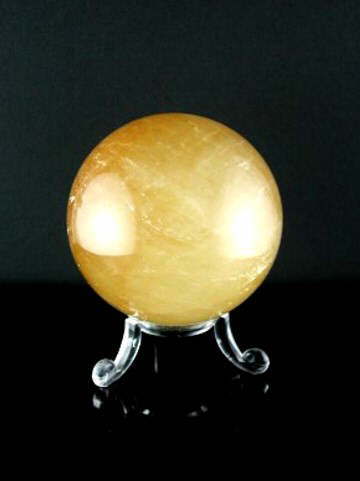 Beautiful quality, large, Golden Calcite sphere. Golden Calcite is a very expansive, energising crystal, but in a gentle and uplifting way, making it an ideal type to have in either your home or work environment. It helps strengthen our will and can enhance meditation; helping us to connect to the highest spiritual source, whilst stimulating the higher mind. An all-round, delightful and accessible crystal. The colour of this sphere is superb.